A travel agent has told how she ended up spending her two week holiday helping refugees on the island of Lesbos, before returning again a month later to bring more supplies. Laura Ferris, a travel consultant from Co-operative Travel in Selby, had initially booked the two-week trip to Lesbos as a holiday for her and her husband, after falling in love with the island last year. “We were due to fly out on July 25,” she said, “but three months before we went, we started seeing reports of all the refugees arriving on the island. “We got in touch with a man who was co-ordinating aid on the island to find out how we could help, and so we took extra luggage carrying food and supplies out there. Ferris said that she and her husband were so moved by their time on the island that they planned a return trip as soon as they arrived back in the UK. “As soon as we go back, we were desperate to go back there. The pair collected 92kg of luggage, including towels, jogging bottoms, nappies and children’s games and puzzles. “I wanted to bring the children some happiness,” she explained. 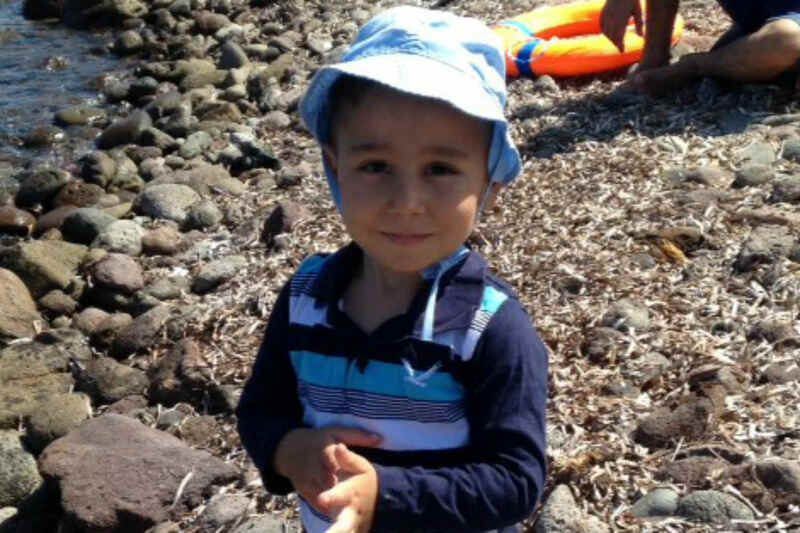 Ferris described a little three-year-old Syrian boy that she met named Mohammed Yousef (left) . Unfortunately Ferris flew home early the following day, and never found out if they were reunited and were safe. She has since put out appeals on Facebook and also on webites for refugees to see if anyone has seen them. “It broke my heart when we left them on that beach”, she added. The couple have also kept in touch with several of the Syrian people that they met, some of whom have now made it to Germany, and Ferris said her and her husband are planning a trip to visit them. She is also hoping to make another trip to Lesbos soon to continue helping the refugees. “It’s just so heartbreaking. It takes a long time to readjust when we come home.